Lessons Learned from Great Projects is History, Vol. 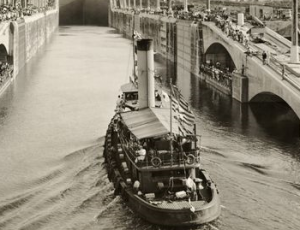 1: The Panama Canal is a webinar designed to illustrate that the fundamental challenges, obstacles, and constraints faced by projects of yesteryear are not much different than what project leaders encounter today. Of course technological advances and innovation have changed how project management is employed, but many of the lessons learned from these great projects can serve as valuable insight into our projects today. The facilitator will provide insight into one of the greatest endeavors in history, The Panama Canal project, through the lens of project management. Participants will not only gain knowledge of an historical event, but also learn how some of today’s “great” projects are not so great in comparison. Riveting and insightful, this webinar will further promote the importance of integrating key lessons learned in every project.